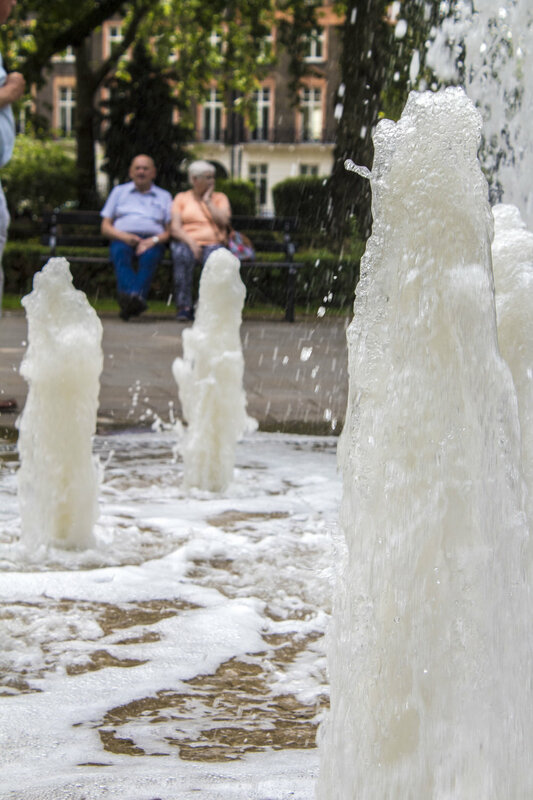 London has loads of parks, but they're not all created equal. Here's our absolute favourite parks to visit. There's great cafes, well kept lawns and truly stunning views. Perfect for relaxing or getting active, London's parks contain all sorts from deck chairs to open air theatres and swimming. All parks featured here are in the app with added details, steps and locations. Just search the location to see more or click the link in the descriptions here, it'll take you to the walk! One of London’s best views can be seen from the top of primrose hill, making the hike up well worth it. Passing through meticulously manicured gardens with beautiful flowers and fountains with a walk uphill to where the view awaits. A great place to watch the fireworks or simply get one of London’s best views, with plenty of green space for a picnic or a rest. We couldn’t have a best parks list and not have Richmond park, could we? Deers galore in one of London’s most tranquil and largest of the royal parks in the capital. It offers a multitude of walks for whatever ability. The park is a National Nature Reserve, London's largest Site of Special Scientific Interest and a European Special Area of Conservation, making it a pretty important place! If you’re looking for vast expanses, live animals and an escape from the city visit one of London’s best parks, Richmond. Definitely one of East London’s finest green areas, Victoria Park combines wide open green space, a pretty epic playground, a killer cafe (brunch is highly recommended), hidden pagodas and a lake for the peddle boat enthusiasts out there. A great walk for kids and adults alike, Victoria park is one of the best parks in London to visit. As well as a lovely cafe and peacocks showing off in the gardens you'll find a serene and tranquil Kyoto Garden. You'll feel miles away from the city while actually being very close, on the central line in fact! Holland Park is one of London's most photogenic parks. A London staple when you think of the city's best parks. Huge and sprawling with incredible views, woodlands and open air swimming ponds! The perfect park for a winter wander, a place to watch the fireworks in London or picnic in the sun and a swim for the brave. A real South East London gem, Ladywell Fields is one of London's best parks to visit with or without kids. A lovely little stream to paddle in or jump over, play areas and loads of space to roam or rest. 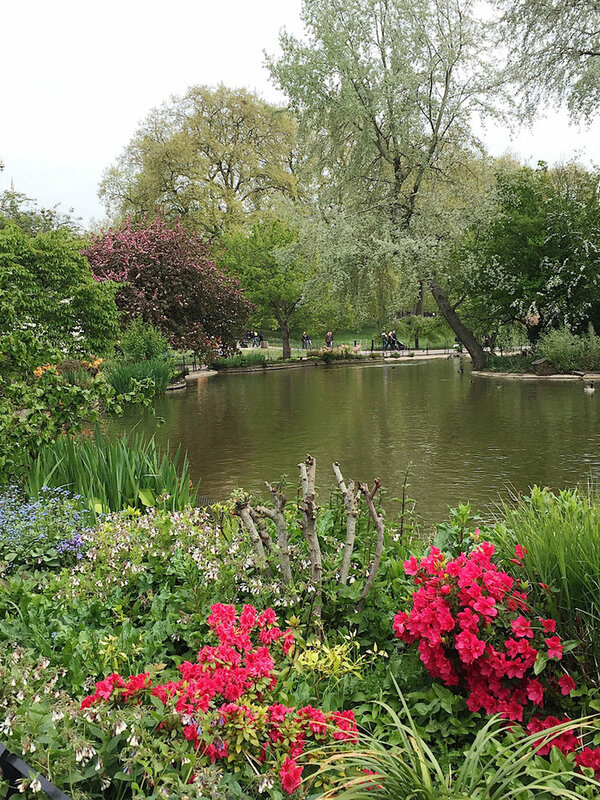 Tucked away in Bloomsbury, London's most literary quarter, Russell Square is one of London's best central spaces, an idilic park to enjoy some peace and quiet. Read a book or enjoy the sound of bird song and fountains in this well kept park. Clissold Park is a great park to come and enjoy some nature in London. Easy to get to from Stoke Newington you can enjoy peaceful waters and cute, inquisitive deer within minutes of leaving central London. On the smaller side, but a true London icon of a park. If visiting Buckingham palace or taking a jaunt through central London, St James's Park is the perfect rest stop. Stunning lakes which home many a duck and beautiful gardens, what more could you want? Last but certainly not least is the reptile ruling Crystal Palace Park. A real adventure in South East London, with a lovely cafe, multiple paths to follow and some massive stone lizards, making this park a little more exciting than your average hang out!